Through out Karachi from Gulistan-e-johur to malir and Korangi and other area's of Karachi a strong wave of earthquake is felt, waiting for the officials to release the report and magnitude of this earthquake. Every body is out from there home, come the the plain ground, fear flows to everybody as the past incident of earthquake in Islamabad and other cities already scared people in Pakistan. Reported from Korangi, Malir and Gulistan-e-johur the magnitude was high in these area's still waiting, as soon as we get the official report we will let you know. 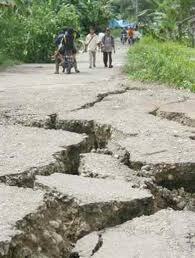 Recent update: earthquake was of 1.1 Magnitude through out the city karachi. the windows of ma room and my bed was badly shaken.